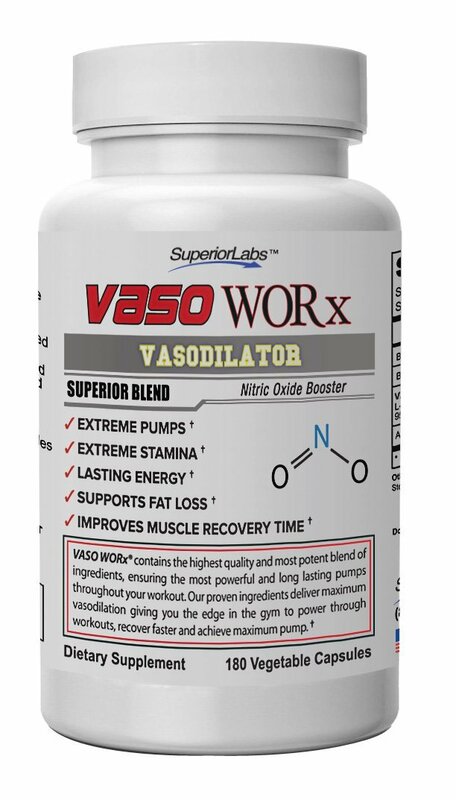 Home › Superior Labs #1 Nitric Oxide Booster Vaso Worx - Superior Vasodilation- Phen..
Superior Labs #1 Nitric Oxide Booster Vaso Worx - Superior Vasodilation- Phen.. PHENOMENALLY EFFECTIVE: VasoWORx contains a 4,600mg unrivaled formula of Nitric Oxide boosting complex without vasoconstricting caffeine. VasoWORx is among the highest quality and best value on the market. Productcontains 7 proven ingredients and over 4,600mg of our powerful Nitric Oxideboosting complex. Designed to increase nitric oxide levels leading toexplosive pumps, increased muscle stamina and increased blood flow to shuttlemassive amounts of nutrients to your cells for explosive muscle growth andrecovery.